If you are interested in staying here, you will need to send a message to the host Brian indicating your interest. For a formal booking to ensue, Brian will need to send you an "invitation to stay", which you can then accept. Approximately 2,700 Sq Feet or 250 Sq Meters, newly renovated, 3BR, 2.5 bath house. Outfitted with generator (in case of power outages,) cable TV (including some multi-lingual programming,) air-conditioned bedrooms, and laundry facilities. Security is always a concern in Nassau and the exterior is generously lit, with stainless steel security bars, and 24 hour electonic security monitoring. 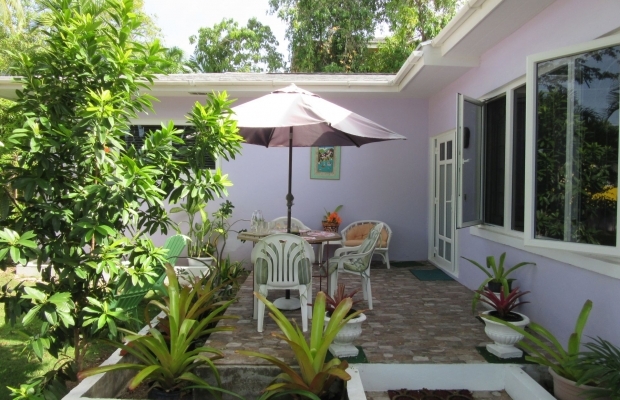 Located in a quiet neighborhood located 9km from downtown (not an easy walk) and 3.5km to the nearest beach. Fast food available within a 2km radius. Several grocery shops available within 2km. There are steps, one from the walkway to the entrance, two from the entrance to the bedrooms. The house is owner occupied by a married couple and we have one bedroom available. The bedroom has an attached full bath, cable TV, large closet, dresser drawers.